My vision for the Kimberly Rose blog is to showcase not only our fabulous weddings, but to also incorporate guest bloggers, staff profiles, and topic posts on everything wedding! I want our posts to be visually enticing and fun to read. Let's blog! I decided to start with a beautiful Spring wedding from May of 2017. 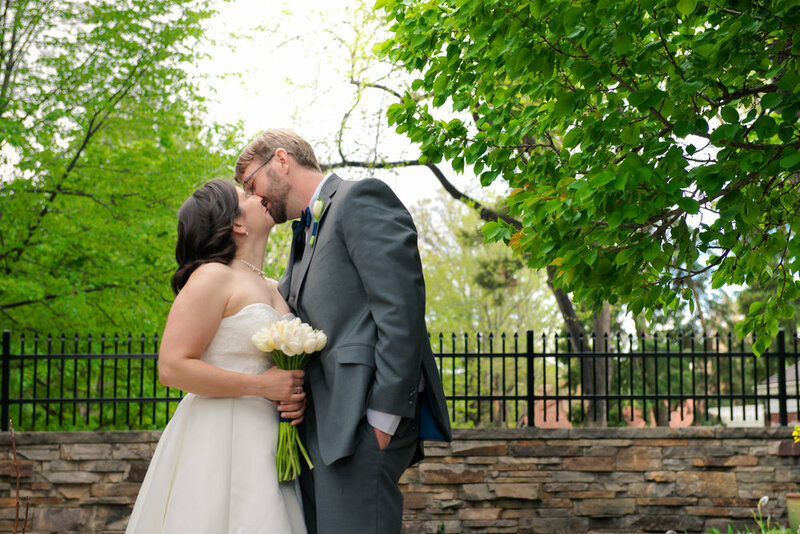 Deb and Clay were married in the magical Woodland Mosaic at the Denver Botanic Gardens. 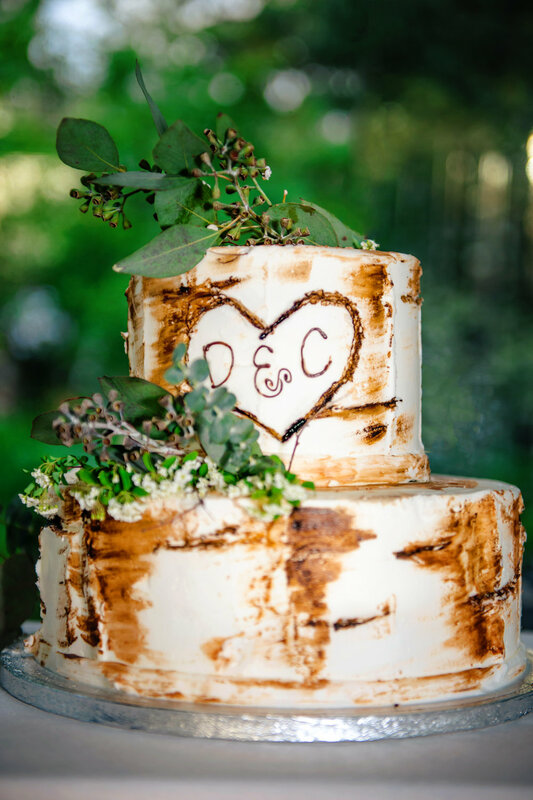 The entire event was exactly what you would dream up for a whimsical garden wedding. The garden’s urban location provide a stunning floral backdrop fitting for any occasion; the flowers, fountains and trees make it easy to forget you're in the middle of the city. 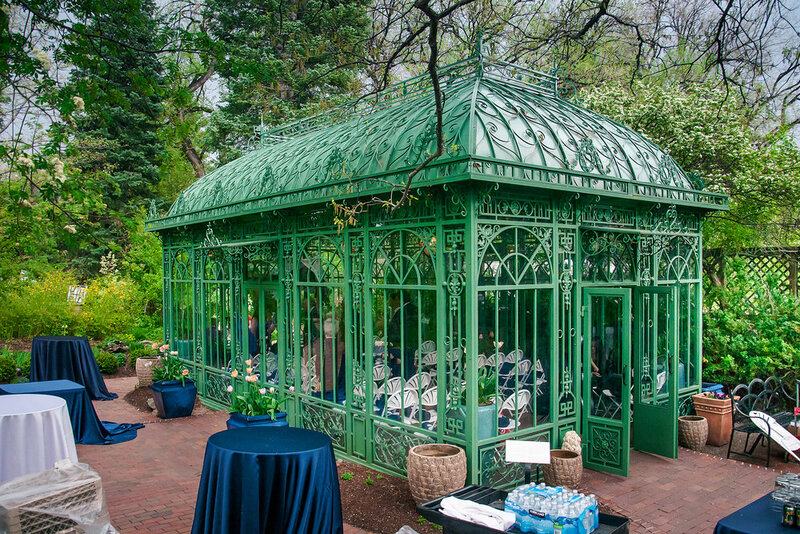 The quaint mosaic was perfect for the intimate guest list and showed off its versatility by hosting both the ceremony and dinner reception. The night truly felt like a fairy tale in the making. If you’re a fairy tale fan like me, you know that there is always a little magic in every party...and that magic arrived in the form of nine tiny little fairies! The couple had their darling nieces lead the way for the bride into the ceremony. Watching them flutter down the aisle, ushered by the talented DU Master’s Students string quartet, was incredibly charming. The couple exchanged vows underneath a handmade chuppah, crafted by Clay’s father. This was one of my favorite touches, not only did it add an element of texture against the glass mosaic, it honored Deb’s Jewish faith which was important to both of them. After the ceremony, the guests retreated to the surrounding gardens for cocktails and appetizers among the flowers while the mosaic quickly transformed into a cozy banquet hall. 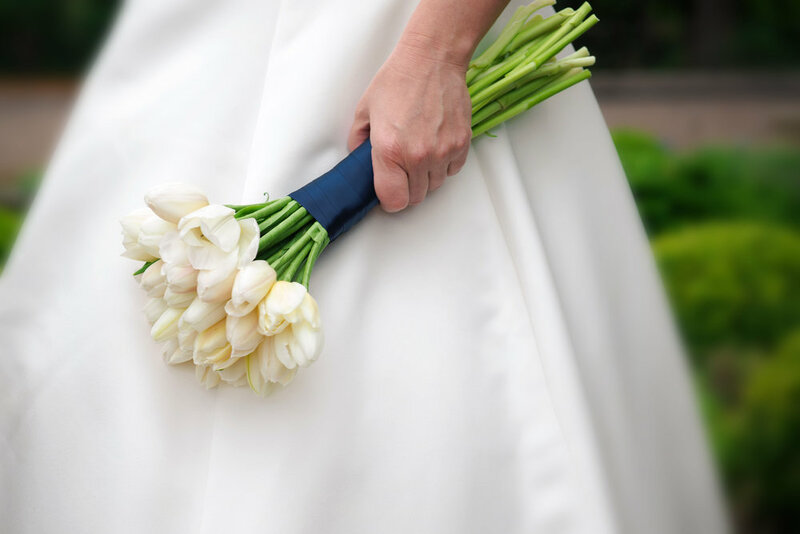 The couple chose, clean crisp white and navy as their color scheme, and Deb opted for classic white tulips for her flowers. We kept the linens and decor simple and bright; the mosaic does not need help being gorgeous! For wedding favors, Deb personalized navy fleece blankets for each of the guests (I even got one!). They were a perfect touch for the cool Spring evening. I loved working with Deb on her wedding. She is such a fun, down to earth gal who was a joy to be around. She was laid back and we always had fun, which is one of my favorite things! I love working with couples who enjoy their time spent wedding planning, and Deb and Clay were not exception. This wedding was the perfect debut to the 2017 wedding season; Deb & Clay, may you live happily ever after! A special thank you to all our wonderful vendors!